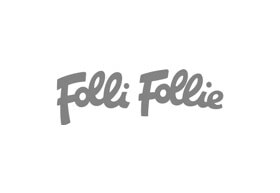 International accessories retailer Folli Follie is now on Australian shores, the brand hailing from Greece offers fun, vibrant pieces including jewellery, watches & accessories. Representing joy, optimism, vitality, passion & fun it captures a loyal following of celebrity fans & influencers including Eva Langoria, Millie Mackintosh & Rosie Fortescue. With a global presence Folli Follie is now available in 26 countries including stores in the most fashionable streets of the worlds major cosmopolitan cities; London, Tokyo, New York & Hong Kong.